Warner Bros. Home Entertainment and DC Entertainment will team up with Fathom Events to bring the animated feature films The Death of Superman and Reign of the Supermen to theaters for a two-day double-feature event in January, ComicBook.com has learned exclusively. Billed as the capper for DC's year-long celebration of Superman's 80th anniversary, the two DC Universe films that adapt the best-selling Superman graphic novels of all time will play back-to-back, not unlike the presentation that The Dark Knight Returns got when its two halves were assembled for an extended edition. The double-feature presentation of The Death of Superman and Reign of the Supermen nationwide will take place on January 13 and 14, 2019. As the second half of the double feature, Reign of the Supermen will be seen nationally in theaters ahead of its Warner Bros. Home Entertainment release on Digital starting January 15, 2019, and on Ultra HD Blu-ray Combo Pack and Blu-ray Combo Pack on January 29, 2019. Tickets for The Death of Superman/Reign of the Supermen Double Feature can be purchased at the Fathom Events website and participating theater box offices. Fathom Events, Warner Bros. and DC present The Death of Superman/Reign of the Supermen Double Feature in more than 500 select movie theaters on Sunday, January 13th at 12:55 p.m. and Monday, January 14th at 8:00 p.m. (all local times), through Fathom’s Digital Broadcast Network (DBN). For a complete list of theater locations, visit the Fathom Events website (theaters and participants are subject to change). 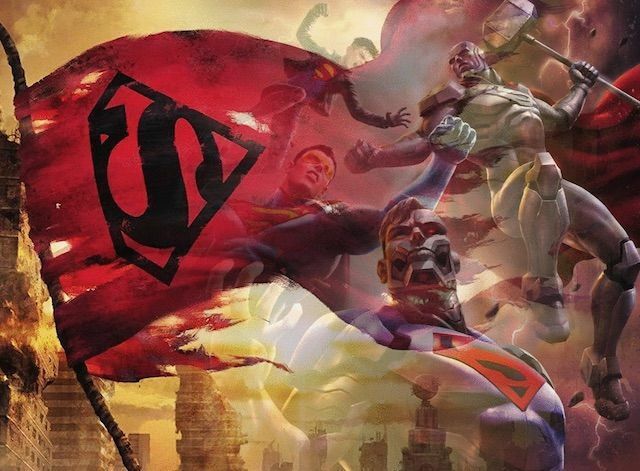 Shortly after its home release, Reign of the Supermen will join The Death of Superman on the DC Universe app.